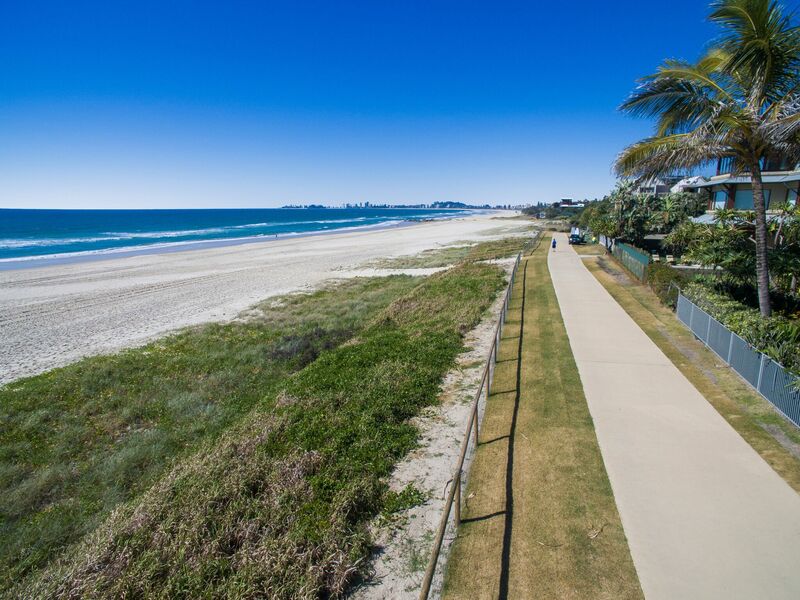 Currumbin is a leafy picturesque area of the Gold Coast located approximately 85km from Brisbane CBD, renowned for its beach lifestyle and world class beaches – winning the prestigious “Australia’s cleanest beach award” in 2013. A varying range of dwellings adorn the landscape from fibro beach shacks through to exquisite multi-million dollar residences with spectacular ocean views. Due to it’s niche geographical location and proximity to beautiful pristine waterways Currumbin has always been highly sought after and very tightly held reflecting a low percentage of properties being offered for sale at any one time. 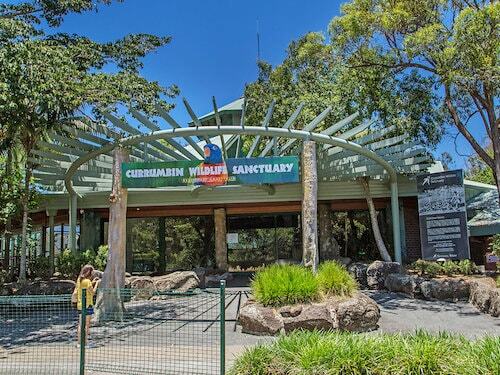 It is the home of the famous Currumbin Wildlife Sanctuary which attracts international, interstate and local tourists all year round. You will also find the popular and unique Elephant Rock, well worth a climb for the magnificent views. The Currumbin Alley surf break has now been included as a World Surfing Reserve. The name Currumbin according to Australia Post historians means “high up” or “place where tall trees grow”. The suburb was originally named Anson Creek by Robert Dixon who surveyed the area in 1839. It was later changed to Currumbin most likely by Thomas Mitchell Surveyor General who preferred Aboriginal names. It is thought that the name could have been derived from “kurrohmin” or kangaroo while others debate “quicksand” possibly due to the quiet challenging tidal creek crossings prior to the road bridge being built across Currumbin Creek. Between 1870 and 1885 much of the land selection of the Currumbin Valley occurred. The first was acquired by Samuel William Gray in 1870. Henry Jordan was the first permanent settler in Currumbin, originally a sugar planter who in 1874 took up 3,120 acres of the north side of Currumbin Creek for cattle grazing. 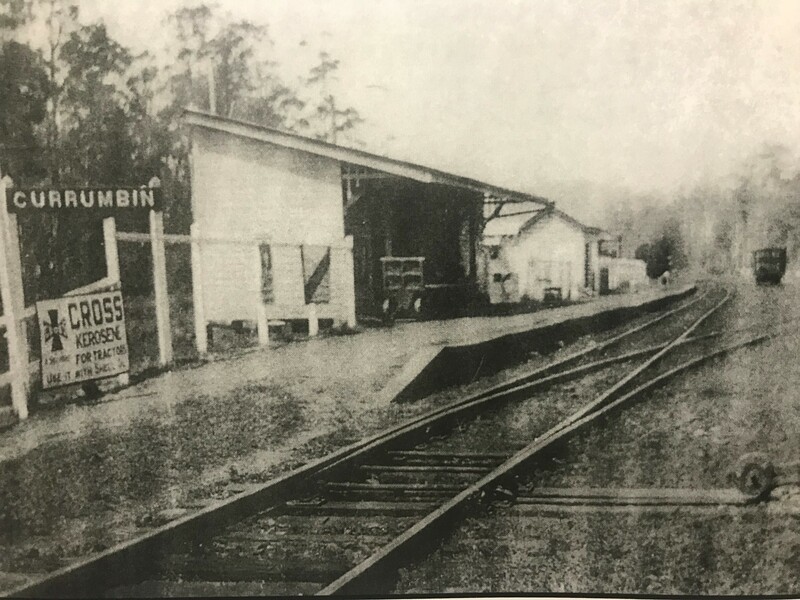 Currumbin township was surveyed and proclaimed in May 1887 but no development occurred until the railway link from Nerang to Tweed was built in 1903. 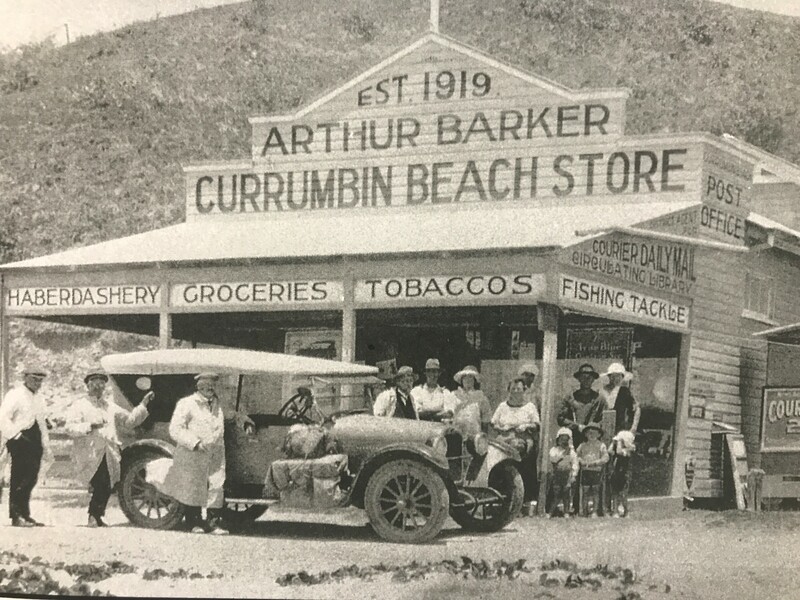 In 1904, Brisbane real estate firm Isles Love and Company advertised the first subdivisions in Currumbin which brought settlers and more tourists to the area. 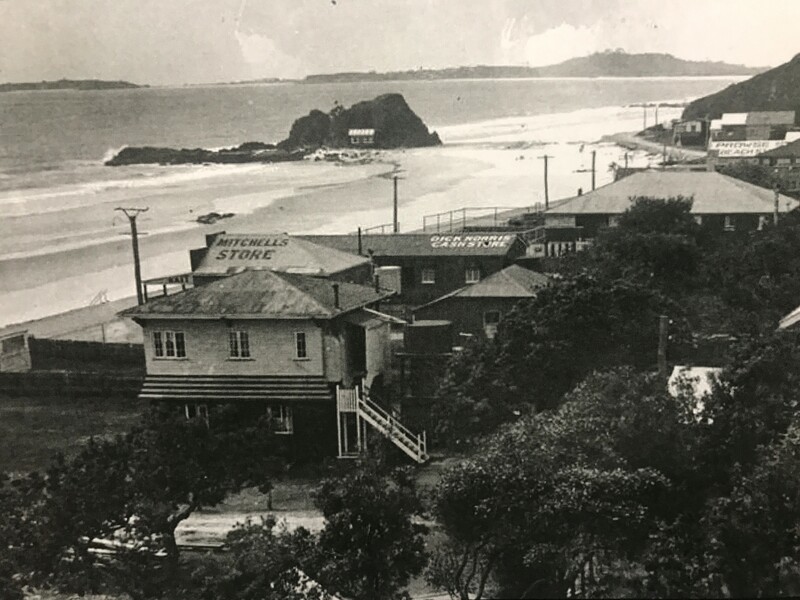 The first hotel was built by Wallace McDonald Nicoll in 1910 on Duringan Street overlooking the mouth of the Currumbin Creek. Additional accommodation and a store were added to the site in 1917 due to increased demand. In 1920 a land release was marketed and sold in James St adjacent to the original motorway and a further 30 lot subdivision followed in 1923 between Pacific Parade beachfront and what is now Woodgee Street. 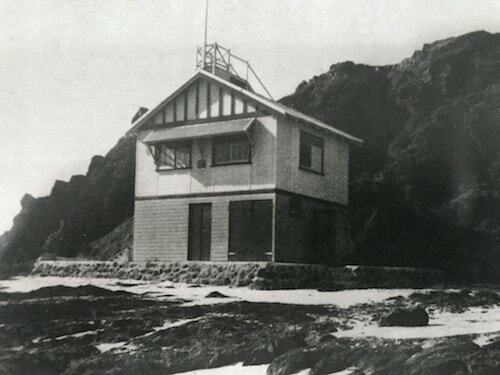 The Currumbin Surf club was built in 1919 after a recommendation from Fielding Chippendale whose daughter drowned off Currumbin Rock, to ensure future safety for swimmers. The road bridge built in 1926 increased motor traffic access to the area, then approximately 20 years later a service station opened around 1948. 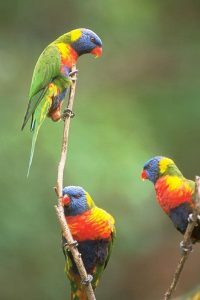 In 1947 a commercial flower grower Alex Griffiths converted his business located at Flat Rock Creek to a bird sanctuary and tourist attraction due to an increased local lorikeet population continually destroying his flowers. Griffiths then gifted the property to The National Trust of Queensland in 1976. The site was renamed in 1995 as the Currumbin Wildlife Sanctuary and is arguably the Gold Coasts most renown tourist attraction. A sand stabilisation plan was devised and in 1973 a seawall was built between Currumbin Rock and the mouth of the creek. 1978 saw another rock wall built on the northern side of the creek at southern Palm Beach. Swell Sculpture Festival is held in September every year along the beachfront and 2018 will be Swell’s sixteenth year. Swell attracts visitors from all over to set their sight on the Swell designs along the beachfront and on the iconic beach. Anzac Day is marked at Elephant Rock each year with a dawn service and the rock being decorated for the event. In 2013 Currumbin was named Australia’s cleanest beach with an award ceremony held at Coogee Beach WA. 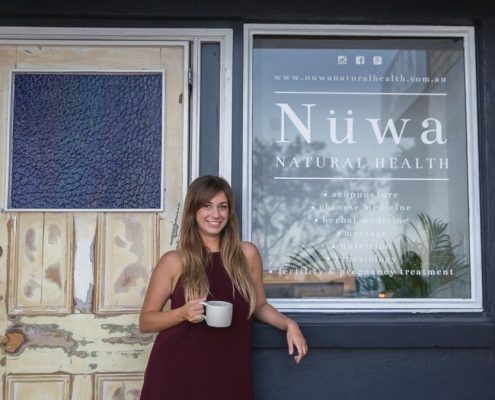 The national organisation Keep Australia Beautiful crowned Currumbin with the prestigious title. 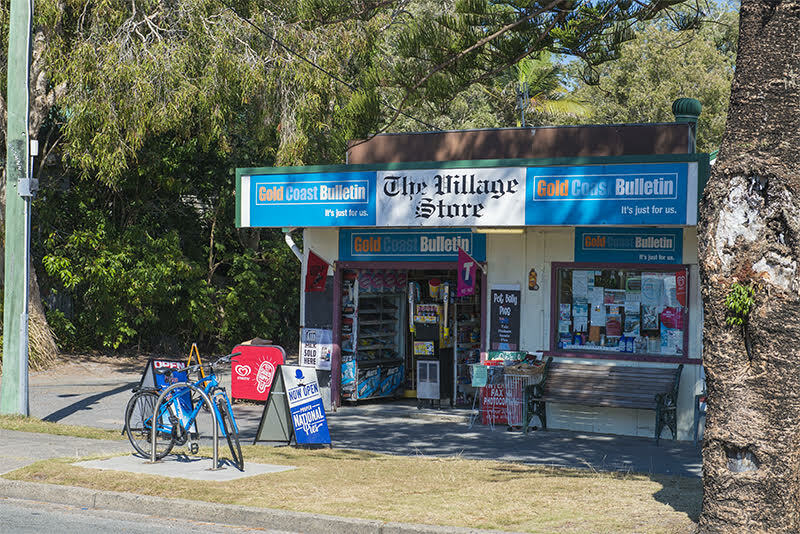 Currumbin was commended for its excellence in community involvement and partnerships. Host for the Athletics Race Walk and the Men and Women’s Cycling Road Race for the 2018 Commonwealth Games. Boutique style shops along Pacific Parade beachfront are known for fashion, homewares and that special gift. 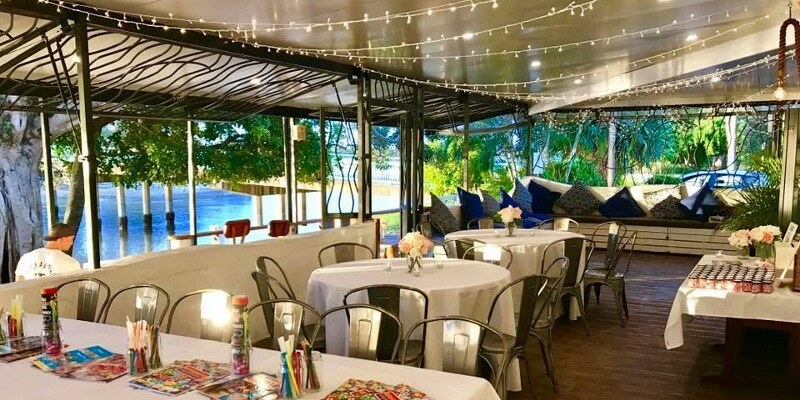 The village vibe of Currumbin continues with the special eateries along the beachfront. 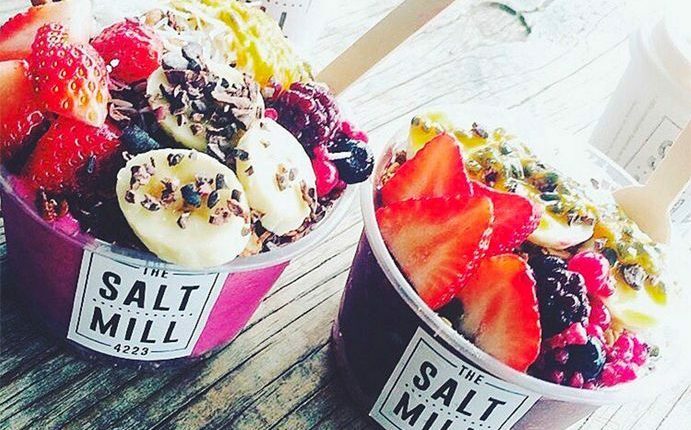 If it’s breakfast, coffee or a 3 course meal that you are after, it’s all here. Currumbin Beach Vikings Surf Lifesaving Club. 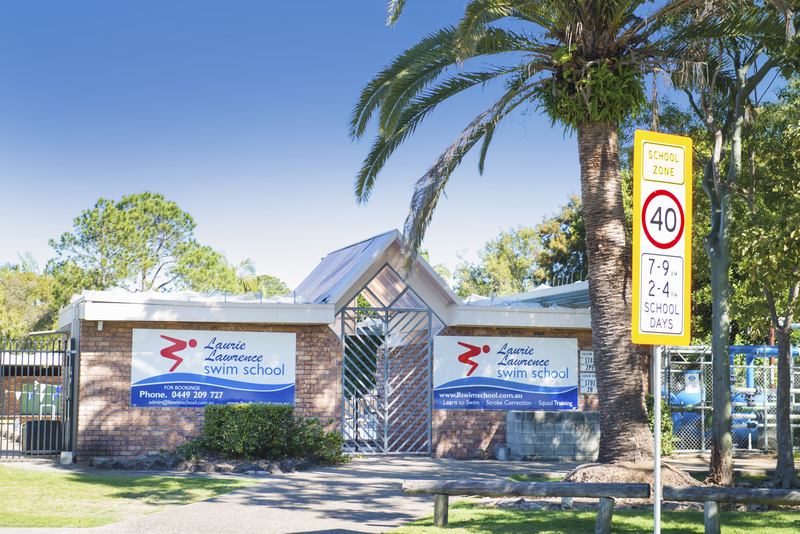 St Augustine’s Parish Catholic School – Galleon Way Currumbin Waters. 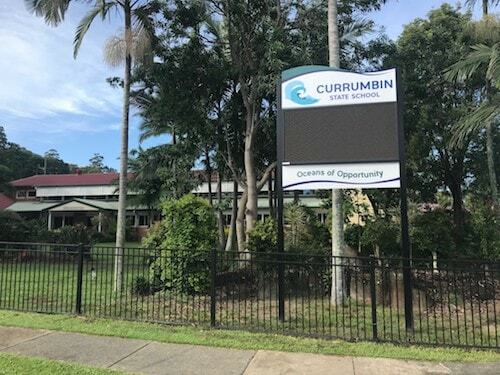 Currumbin Special School – Hammersford Drive Currumbin Waters.